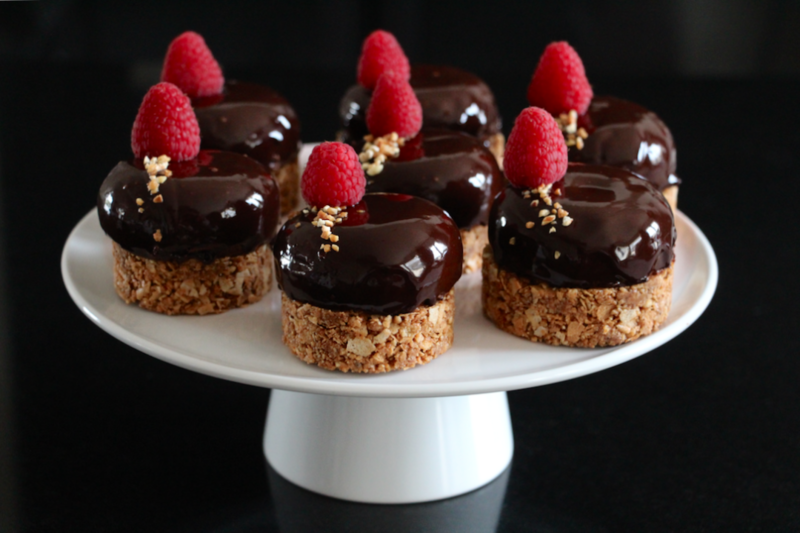 Here are my chocolate, praline and raspberry tarts. This recipe took shape slowly in my head, finding my inspiration here and there. And when things got a little bit more concrete, I thought I needed a nice occasion to try it. 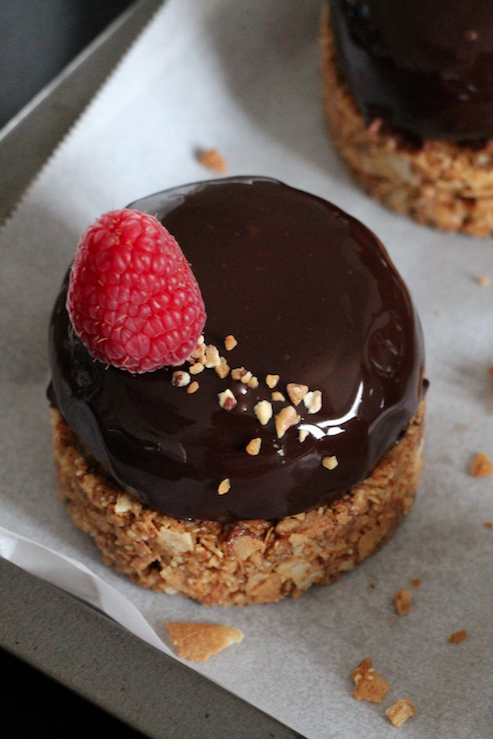 So I suggest my chocolate, praline and raspberry tarts for Valentine Day. If this is a day that you like, it will be perfect. 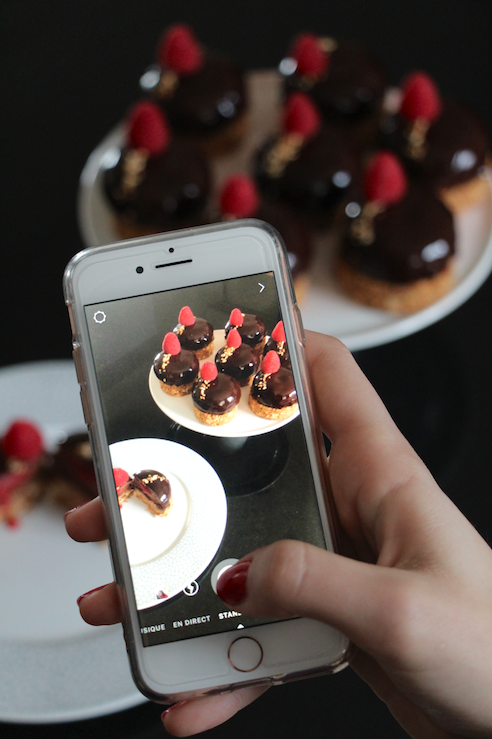 If not, I’m sure that you’ll find some other occasion to fall for this dessert!! The final boost for me was the lovely surprise I got from Le Chef en Box, who had made a contest that I won!! I was the lucky winner of two Silikomart molds, one being the “Tourbillon” model and the other the “Stone” model. I decided to use the latter. This way, preparing the dessert by the plate was definitely easier. Don’t you worry if you don’t have individual pastry rings. You can make a regular tart dessert to share. 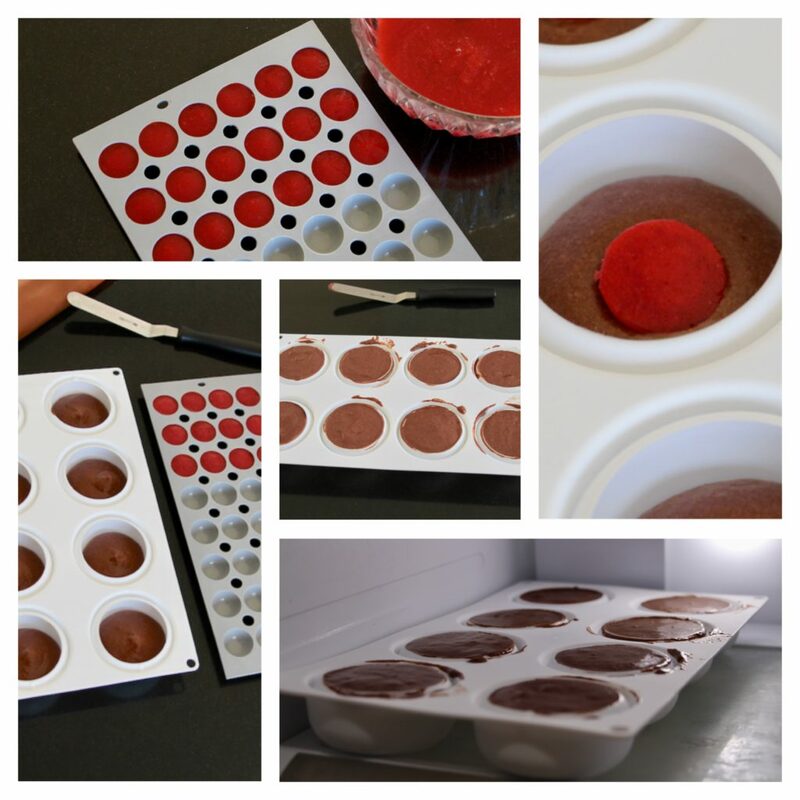 In this case use a silicone mold, size 18-20 cm diameter. As you may have noticed I didn’t have 8 identical pastry rings. 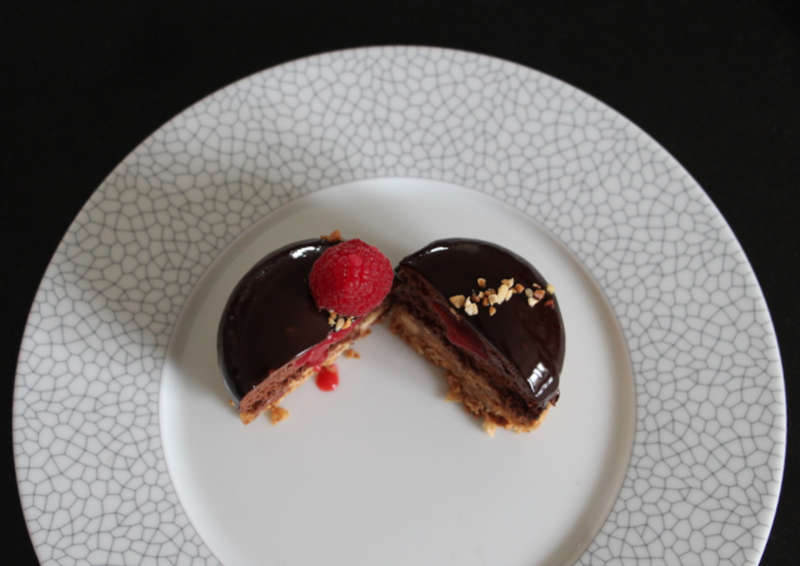 So I made a medley… Just keep in mind to have the right balance between all the elements that form those chocolate, praline and raspberry tarts. So talking about elements, what is this dessert made of?? 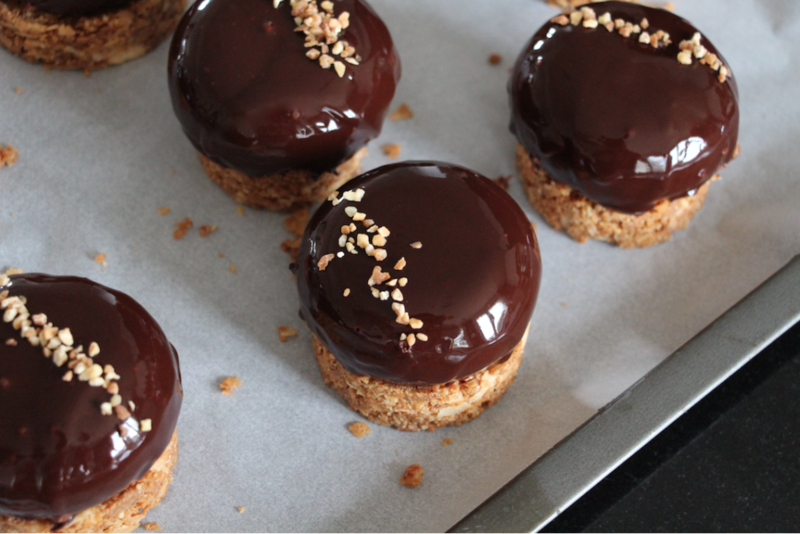 The base is a biscuit made with crumble, crispy crepes and praline paste. 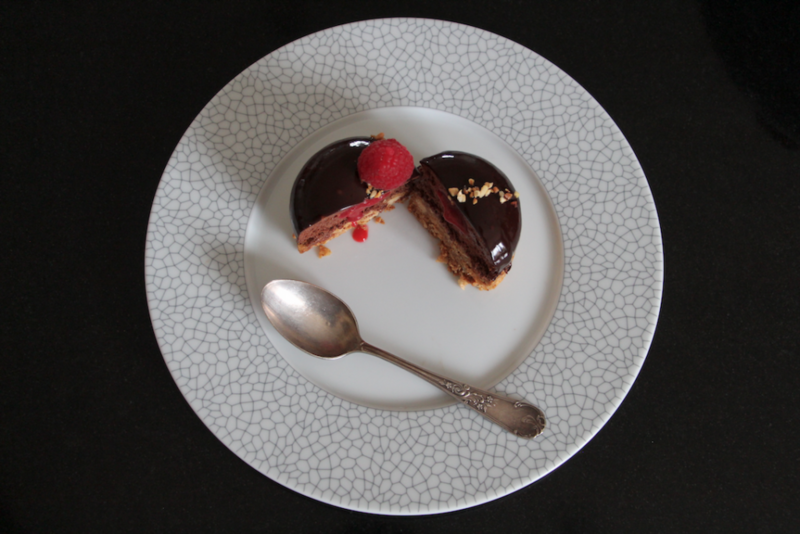 The upper part is a chocolate mousse, with a raspberry sauce insert, the whole thing being topped with a chocolate mirror icing. Then you’ll just do whatever you like for decoration. 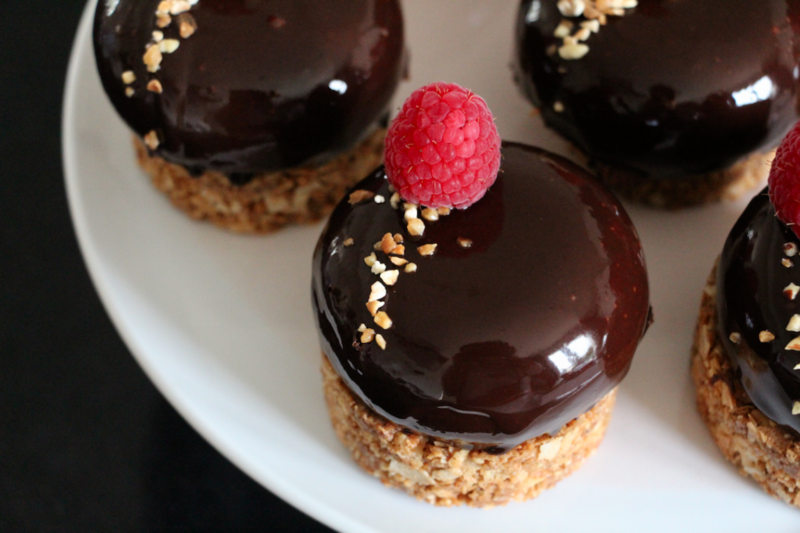 I decided to put crushed almonds and hazelnuts and a fresh raspberry. 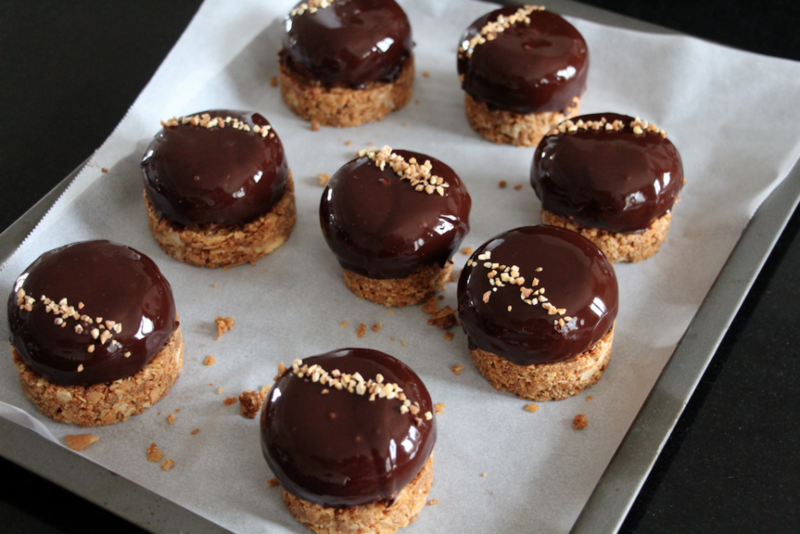 If you have pastry gold sheets, it will be very elegant. The several preparations are not that complicated (I was stressed out by the mirror icing but it is super easy actually!!). Nevertheless, you will have to be organized. The raspberry sauce will have to be frozen at least 3 hours before being put inside the mousse, which will be frozen as well … For at least 6 hours (I let them for a whole night). And a food processor to whip the egg whites for the chocolate mousse. 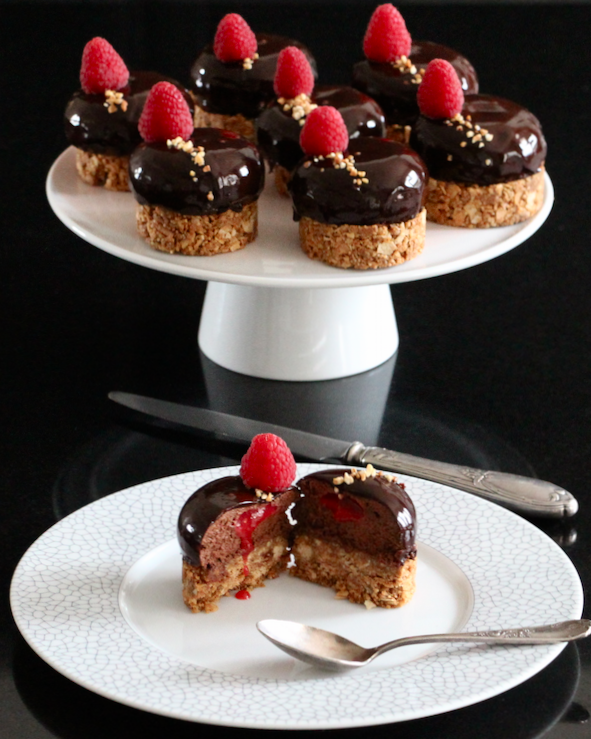 Well, well… A post a little longer than the usual for this recipe, but I think it was necessary. Read the whole recipe first before starting to have in mind all the steps, after that it will be pure happiness!!! This dessert is to die for!!! Whip the egg whites with the sugar until you get a foamy mixture. 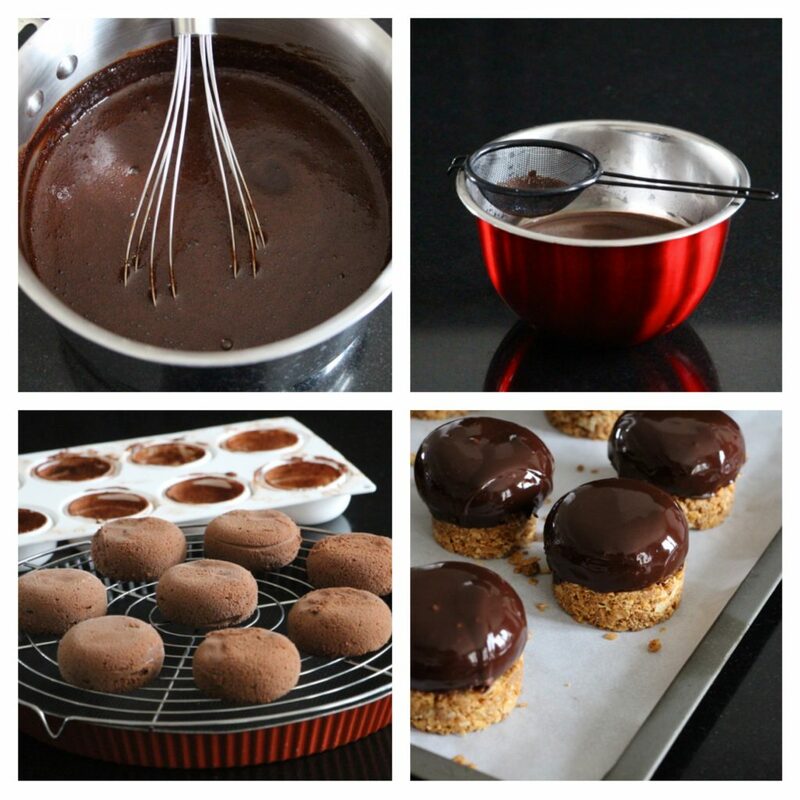 Melt gently the chocolate and butter in a double boiler. Then put the egg yolks in a large bowl. Add 1/4 of the chocolate/butter slightly cooled down. Blend. Repeat with the second quarter of chocolate/butter. Then with the third. Gently add 2 tablespoons of whisked egg whites and whip until you have an homogeneous mixture. Add the last quarter of chocolate/butter. With a spatula, mix the rest of the whisked white eggs (add 1/3 and mix, then 1/3 and 1/3). Pour the water and sugar in your cocotte. When the temperature hits 116 degrees (or whan you have 5-6 mm bubbles), add the almonds and hazelnuts. Cook at medium heat while mixing with a wooden spatula for 20 minutes. You will coat the dried fruits with sugar. It will get white first (with a sandy texture) then it will caralemize. When you get a nice auburn color, stop cooking. Pour your almonds and hazelnuts on a silicon mat or a Teflon large plate. Spread them so that they will cool down properly. When they have cooled down, place them in your food processor bowl. Mix 3 times, wait 5 minutes between each time. You will get a dry powder first. Then a more shiny and oily powder. And finally a smooth praline paste. 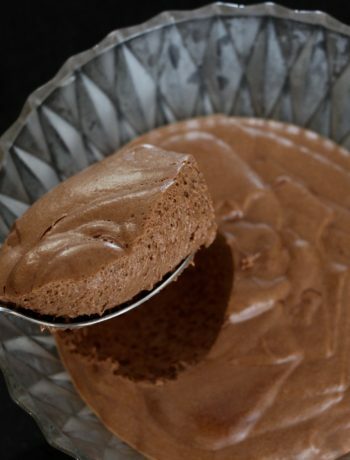 Pour the water, sugar, cocoa and cream in a sauce pan. Heat until it boils whilst whisking. Place a cling film on the surface of the icing and let cool down (you will use this icing with a temperature between 30 and 35 degrees). You can hit gently the bowl against your working plan to help the little bubbles get out of the icing. Preheat your oven at 150-160 degrees. Mix the flour, sugar, almond powder, baking powder and flower salt in a bowl. Add the cold butter and mix (it's easier with your fingers). 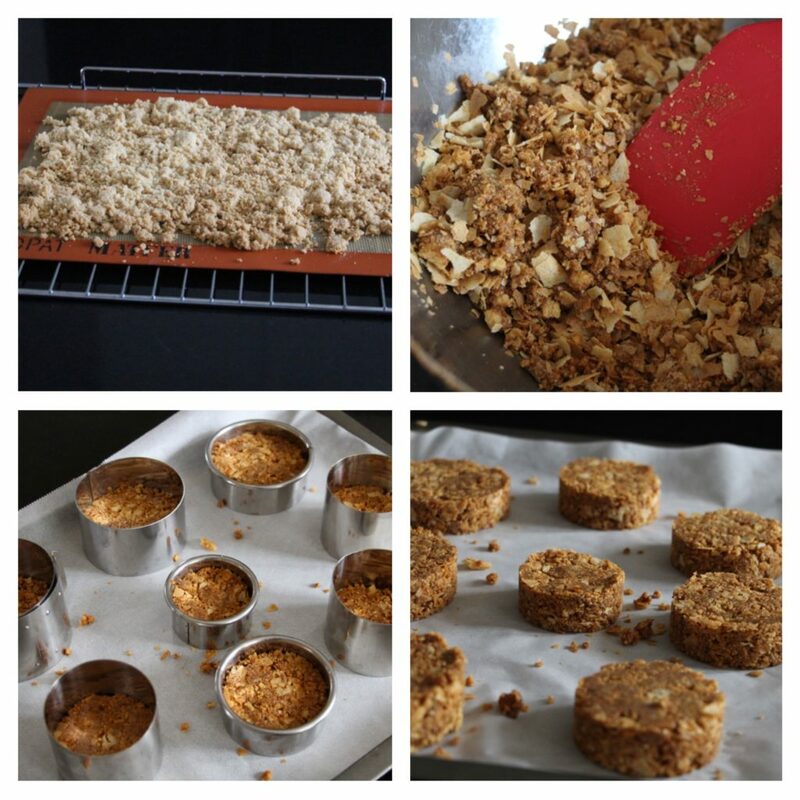 Spread the crumble pastry on your baking mat. Bake for 30 minutes (your crumble should be golden). Pour the crumble in a bowl. Add 90 g of praline paste and mix. Then add the crumbled crispy crepes dentelles and melted butter. You will get a sticky mixture. Place it in your pastry rings. Press in order to have a compact and leveled surface. 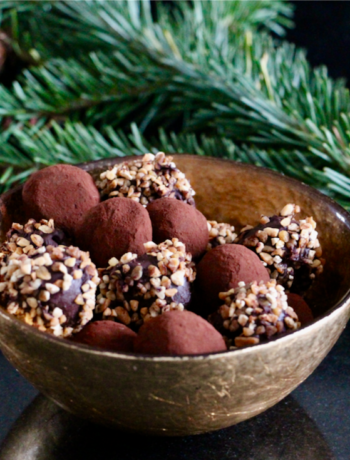 Set aside in your fridge for at least 2 hours. Remove the pastry rings from the biscuits. Pour at once the icing (with temperature between 30 and 35 degrees) on the frozen mousses. 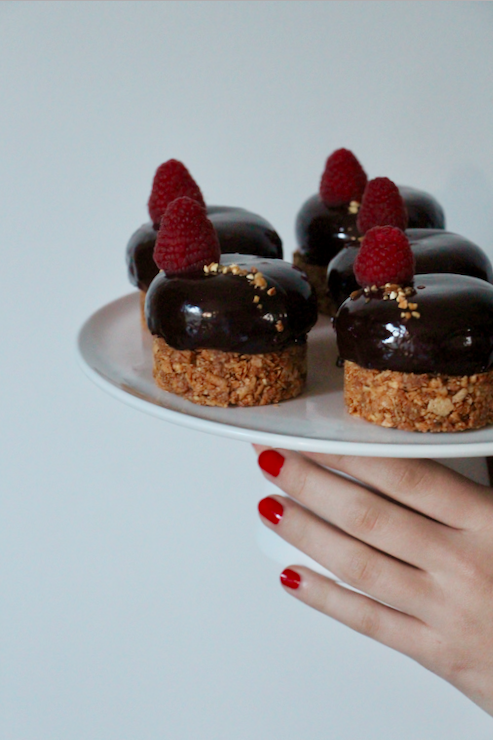 Leave to rest 2-3 minutes and place each mousse on a biscuit. 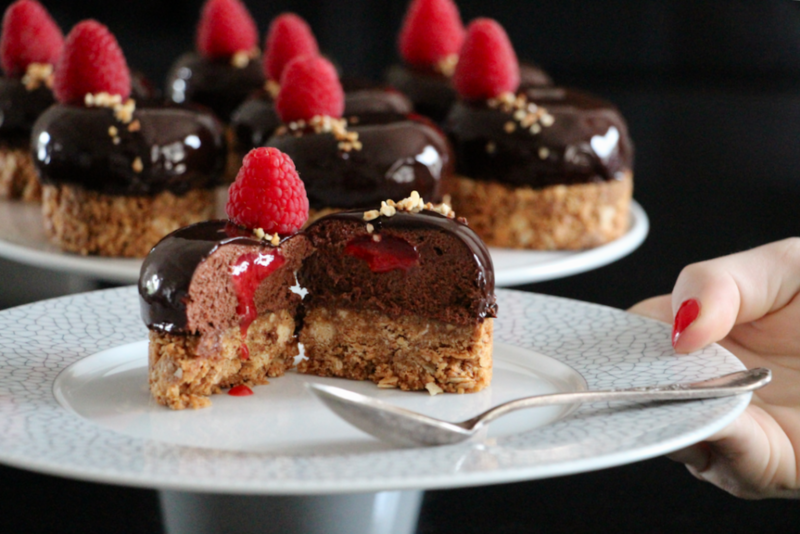 You will probably have too much mousse. Set it aside in your fridge and enjoy after at least 3 hours. wahou… une fois encore c’est grandiose, bravo !!! et petite touche de vernis de la même couleur que l’insert… incroyable !!! Oh merci Priscille !!! C’est super gentil ! Je suis ravie que ça vous plaise !! 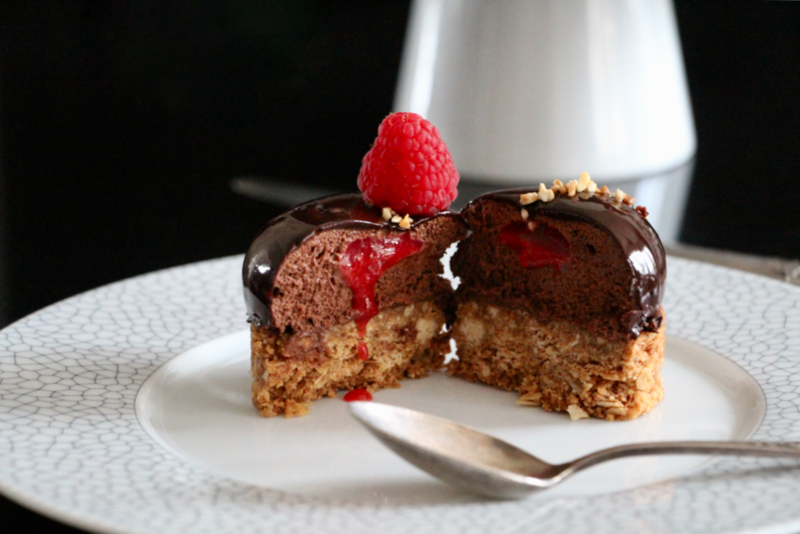 Hey Buddy!, I found this information for you: "Chocolate, Praline and Raspberry Tarts". 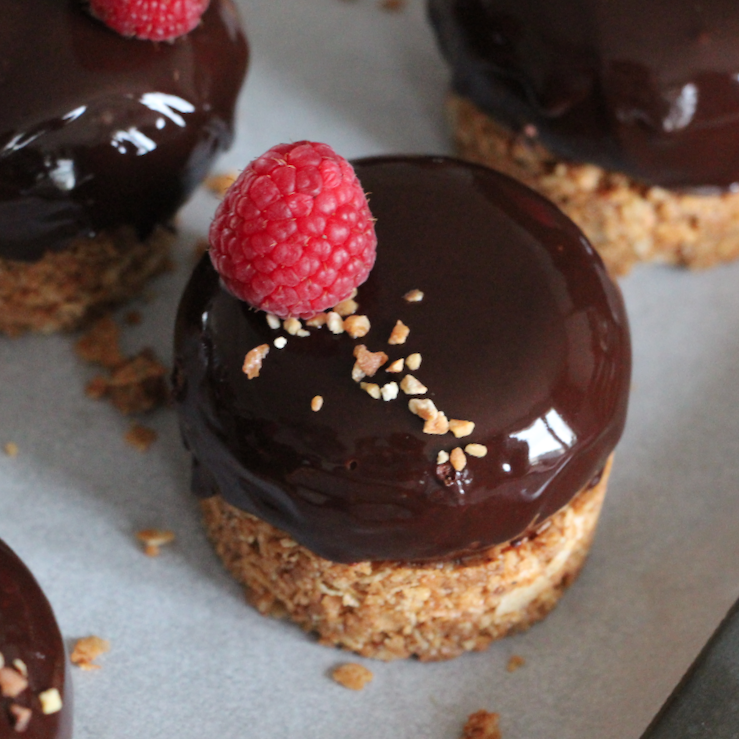 Here is the website link: http://www.casseroleetchocolat.fr/en/tartelette-chocolat-praline-coeur-framboise/. Thank you.